To work as a contractor in the State of Alaska, multiple licensing and registration requirements must be satisfied appropriately. These programs are set forth and enforced by Alaska’s Department of Commerce, Community, and Economic Development and the Division of Corporations, Business and Professional Licensing. In addition to passing the proper examinations and fulfilling contractor-specific registration and licensing requirements, general contractors must obtain an Alaska Business License, applicable workers’ compensation, and liability insurance. Without the proper credentials, a contractor or a person acting in the capacity of a contractor is guilty of a class B misdemeanor, risking up to 90 days of confinement and a maximum fine of $2,000 — so make sure you’re properly licensed! According to AS 08.18.011, it is unlawful for a person to submit a bid or work as a contractor until that person has been issued a certificate of registration by the Department of Commerce, Community, and Economic Development. General Contractor With Residential Contractor Endorsement license: Alaska law states that general contractors who oversee new home construction, or perform residential work greater than 25 percent of the value of the structure being altered, must obtain a “residential contractor endorsement” as well. These endorsements are only licensed to individuals who have completed a 16-hour cold climate course and who have passed the residential contractors endorsement exam. General Contractor Without Residential Contractor Endorsement license: General contractors who perform commercial work, or do residential remodel work less than 25% of the value of the structure being altered, are not required to have a residential contractor endorsement, and instead are issued a General Contractor Without Residential Contractor Endorsement license. General Contractor Handyman license: Finally, general contractors who perform commercial work or do residential remodel work under $10,000.00 need only obtain a General Contractor Handyman license. Besides general contractors, there are also specialty and mechanical contractors. Specialty contractors may perform work as long as it is restricted to their three listed trades selected from a list of trades recognized by the state. All 37 of these trades can be found on the last page of the Specialty Contractor Online Application document. Mechanical contractors, on the other hand, are able to perform any of the mechanical disciplines for which they have an administrator assigned (plumbing, heating, sheet metal, or refrigeration). However, they may only perform mechanical work; installation requires an additional electrical administrators license on top of the mechanical administrator’s license. The state maintains a list of regulated mechanical professions. After defining the type of work you’re going to perform, you can begin taking the necessary steps to obtain the correct contractor’s license. What Do You Need To Become a General Contractor in Alaska? A completed, signed, and notarized Alaska Construction Contractors License Application. Note that General Contractors with Residential Endorsements are required to pass a 16-hour cold climate course, and to pass the residential contractors endorsement exam as well. The amount that you’ll be required to pay for licensing and registration will depend on what type of construction contractor you are. Only those seeking a General Contractor With Residential Contractor Endorsement license are required to complete examinations to obtain their qualifications. First each individual will have to complete The Alaska Craftsman Home Program (ACHP) or equivalent program, which includes a post-secondary course in Arctic engineering (or its equivalent). ACHP certificates cost $20.00 each and must be completed within two years before the date of the application. The PSI AK Residential Contractor Endorsement Exam must be completed as well. This exam can be done online, usually takes about 240 minutes, and costs $150.00 to take. You must apply for the residential endorsement within 12 months after having passed the examination. You can view available dates to take the test in Anchorage, Fairbanks, Kodiak, Juneau, and Ketchikan online. The exam is comprised of 100 questions, and a score of 70 percent is required to pass. Topics include carpentry, thermal and moisture protection, safety, and other topics. One examination costs $150.00 and can be taken either online by computer or on location in Anchorage, Fairbanks, Kodiak, Juneau, or Ketchikan. PSI accepts Money Orders, Cashier’s checks, Visa or Mastercard. All payments can be made through the PSI website once you create an account and create an exam. The Application Itself: Make sure that your application is completed, signed and notarized. This application must be immaculate — incorrect documents are returned for correction. An Alaska Contractor License Bond/Surety Bond: A surety bond is defined as a three-party agreement that “guarantees the principal will act in accordance with certain laws. If the principal fails to perform in this manner, the bond will cover resulting damages or losses.” The required amount of this bond will depend on what type of contractor you are. General Contractor Handyman applicants are required to submit a $5,000 bond per project and can choose between a surety bond, a cashier’s check, and a time certificate of deposit or savings passbook. General Contractors Without Residential Endorsement, on the other hand, will pay for a one-time $25,000 bond. It’s worth remembering that you likely will not have to pay the full amount of the bond to get bonded. Liability Insurance: You’ll need to obtain insurance for public liability ($50,000 for injury or death to one person, $100,000 for more than one) and property damage (not less than $20,000) from a legitimate insurance agency. Workers’ Compensation: Under AS 23.30 of the State Code, evidence of workers’ compensation is a requirement for registration as a construction contractor. However, according to AS 23.30.025, an “all states endorsement” is not acceptable, and the insurance must be provided by a private carrier registered in Alaska, and the policy written in a way specific to Alaska law. The good news is that your company might be exempt from carrying workers’ comp insurance if you don’t actually have any employees. Fees: Your nonrefundable application fee ($65.00) and license fee ($235.00) should be made payable to “State of Alaska”. General contractor and residential contractor endorsement licenses expire on December 31 of even years, and must be renewed. It’s also worth noting that nonresidential general contractors aren’t required to pass an exam to obtain a license; Contractors with residential endorsements are, on the other hand. $300 application and registration fee ($65 application fee, $235 registration fee, separate from the Alaska Construction Contractors License Application). Copy of PSI official examination results. Proof of completion of the ACHP program or its equivalent, or a postsecondary course in arctic engineering, or its equivalent, within two years preceding the date of application. Name of currently licensed general contractor and contractor license number which the residential contractor endorsement will be assigned to. On top of your State-Issued License, you’ll likely also have to register locally with the city or county governments you operate within. For example, any individual or business engaged in construction within the Municipality of Anchorage Service Area is required to obtain a Municipal Contractors License. As long as they fill out the paperwork correctly, applicants can typically expect a license to be issued in 7-10 business days. Submit a current copy of your State of Alaska Contractors License. Submit a copy of the required construction bond. Submit a copy of your Mechanical/Electrical Administrators License. (If applicable). Municipal licenses are valid for a maximum of two years, and they expire on February 14th of every calendar year. Make sure to be attentive and fill out your application correctly. Visit the city government’s website for more information on municipal licenses in Anchorage. No matter what type of construction contractor you are, you’ll find every type of initial application, renewal application, and miscellaneous forms required by you on the official Department of Commerce, Community, and Economic Development and the Division of Corporations, Business and Professional Licensing website. 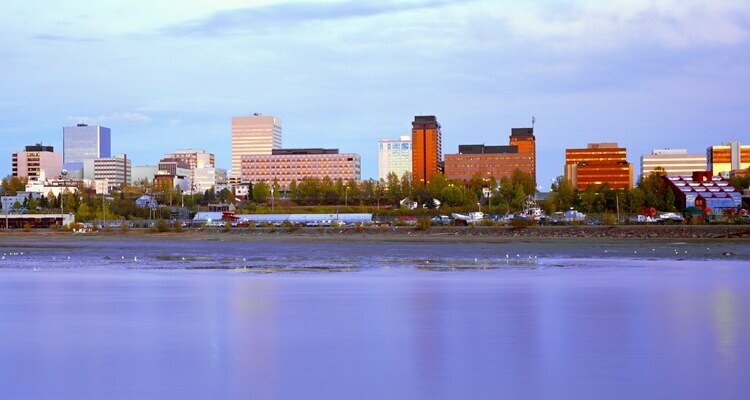 Anybody wishing to do business in the State of Alaska must obtain an Alaska Business License. On top of your federal EIN number, assigned by the IRS, you may be required to register with the Alaska Department of Labor and Workforce Development. You may also get more information on business licensing in the State of Alaska from the Department of Commerce. The Alaska Workers’ Compensation Act requires that every employer with one or more employees in Alaska must obtain workers’ compensation insurance. The Department of Labor has more information on workers’ compensation requirements for employers in Alaska, as well as a list of Alaska-specific workers’ compensation forms. The Division of Corporations, Business, and Professional Licensing website has a professional license search page that can help you lookup and verify any contractor license in Alaska.